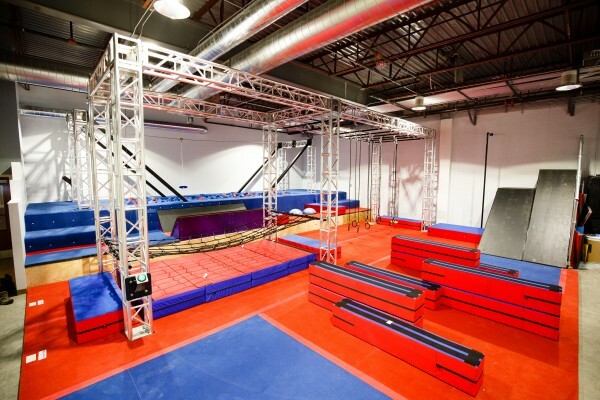 The central part of this recreational based play area is the custom built Ninja Warrior obstacle course. Kids will enjoy active play in the fun and unique obstacle course much like the courses in American Gladiator. The course includes various obstacles, a foam pit, and zip-line. The Big Beans Ninja Obstacle Course is designed for kids 4-12 years and is open Monday-Friday from 8:30-7pm and Saturdays and Sundays from 8:30am-3pm. If the child is under 5 a parent must accompany their child at all times. Depending on the number of kids who just want to play in the foam pit, the zip line may be closed. When possible we try and run the zip line every 30 min so there is time for the zip line and time for jumping in the pit. When the school-aged kids are off school they are given priority to use the zip line and younger kids may be asked to leave the pit. After 3:00 during the weeks and during all weekend hours, no child under 4 will be allowed on the course. This is for the safety of younger kids and to allow the age-appropriate kids the chance to enjoy the course as it was designed. During busy times, kids may be pulled off the course to allow staff to run it structured with 2 people helping kids complete the course, just a few kids at a time. Kids not on the course will wait in a line for their turn. In addition to the obstacle course, there is a karaoke performance room for singing, photos and dress up, games (ping pong, air hockey, wall gaming system) and an EyePlay interactive floor gaming system. The Karaoke room is only open during designated times and there will be a sign-up sheet outside the door. Karaoke hours are Tuesdays from 10am-12pm, Wednesdays from 10am-12pm, Thursdays from 4-6pm, Fridays from 10am-12pm and 4-6pm and Saturdays and Sundays from 10am-12pm. 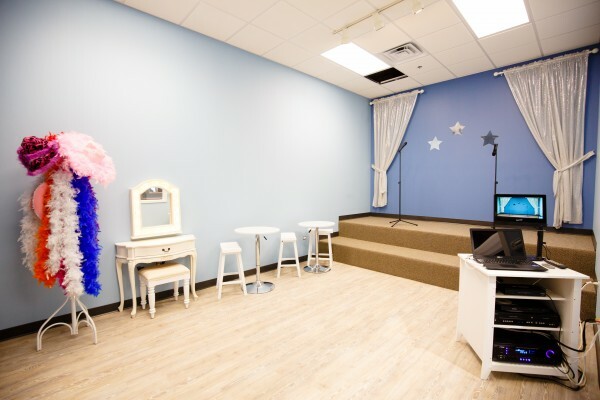 The karaoke room has also been designed for kids over 5 years so the selection of music is pop and Disney. Younger kids who want to participate may do so but we do not have nursery rhymes available.